Filipino ranked no. 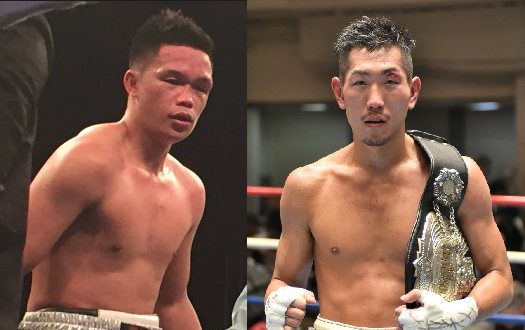 3 WBO welterweight contender Jason Pagara of the Philippines is set to fight Hiroko Okada of Japan for the vacant WBO Asia Pacific title. This fight would be one of the toughest tests for Pagaras career so far, Pagara never been defeated since 2011 and now trying to prove that he has something and he can be a world title challenger soon. Pagara has a record of 40W(25KO)-2L-1D. He hasn't tried to make yet in some world title fight but this would be the opening mark or the answer for him if he is deserving to become a world title challenger. Pagara last fight was unimpressive, almost defeated in the face of his fans but luckily, the fight ruled as a draw against James Onyango. On the other hand, Hiroki Okada is a 27 years old Japanese with a record of 16W(11KO) with no defeats. He is a former Japanese light welterweight champion and defeated the Filipino Jherit Chavez via unanimous decision in his last fight. Pagara vs Okada will be held at Korakuen Hall, Tokyo Japan on December 19, 2017.